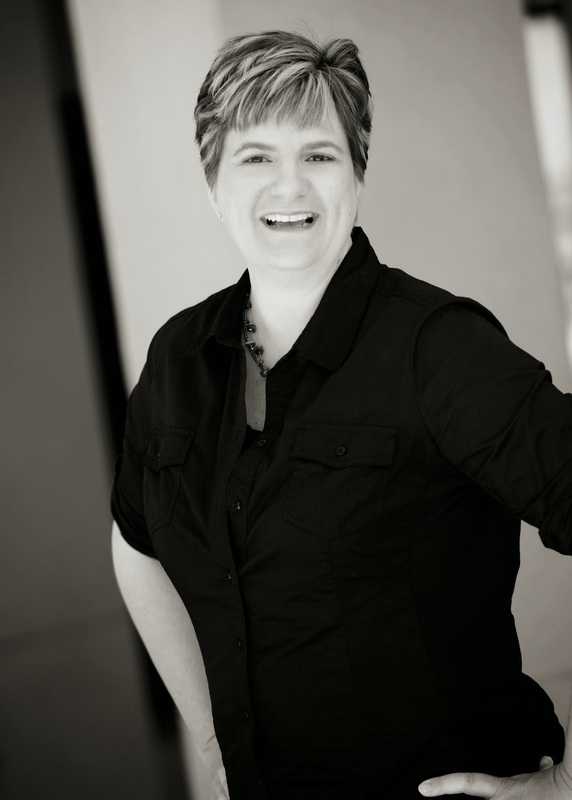 We are so delighted to have the talented Gloria Stengel designing with us this month. My name is Gloria Stengel and I live in beautiful, southern California. I am a wife of 27 years, and the mom of three kids, and the owner of two cats. I have been hooked on paper crafts all of my life. I have always loved to color, play with paper dolls, and create "projects"! 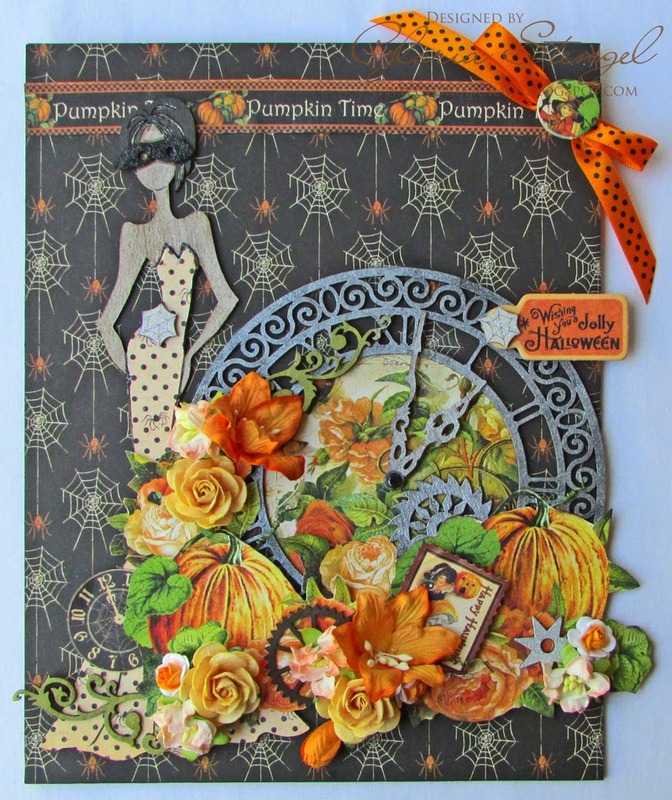 In 1990, I discovered rubber stamping and in 1996, I stumbled across "modern" scrapbooking. 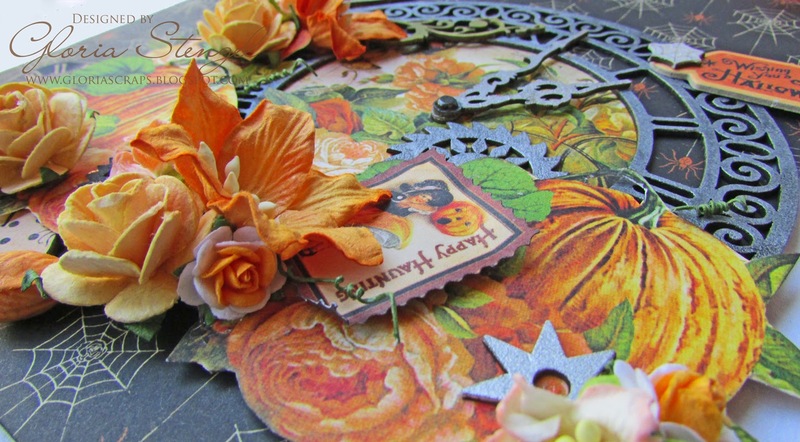 I love all aspects of paper crafting: card making, scrapbooking, mini albums, altered art, up-cycling, you name it! I am happiest when I am making a mess! It's the cleaning up part that I don't care for! My newest passion is designing stamps and other digital paper crafting items. I design stamps for Sweet 'n Sassy Stamps (clear/cling) and Hampton Art Stamps (wood mount). 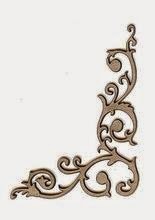 I also design digital stamps for myself and my blog readers. 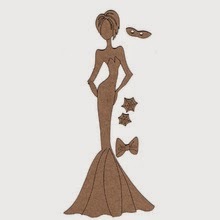 My dream is to have my own paper line someday! I have been on a number of design teams over the past few years, including three terms with Graphic 45. I also accept various guest design spots and work with online stores from time to time. I have recently started my own challenge blog, Craft Hoarders Anonymous. I think the name says it all. I have a blog (Scraps of Life), a Facebook Fan Page, and a YouTube channel in order to share my creative work. 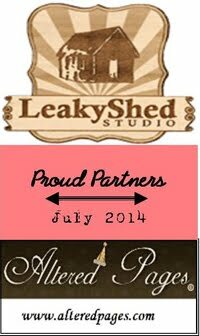 I am very excited to be the September guest designer here at Leaky Shed Studio! I love chipboard, and Leaky Shed has some of the BEST! 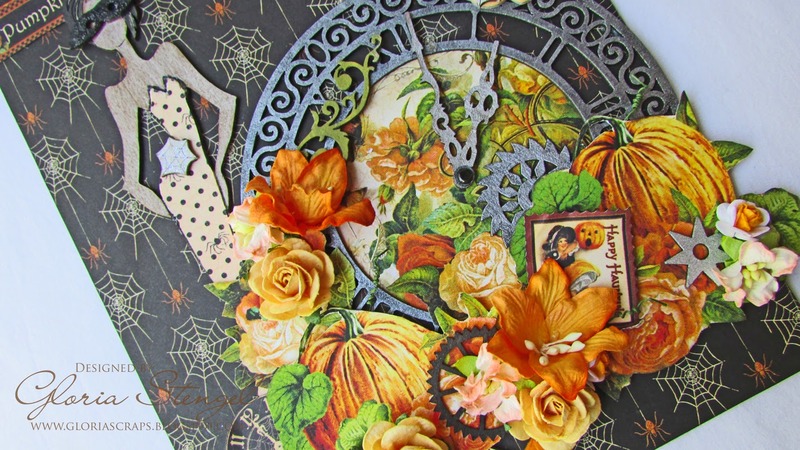 I created a 9 x 7 inch, Halloween home decor piece to share with you. I love Halloween colors. The oranges and greens are just so lovely. 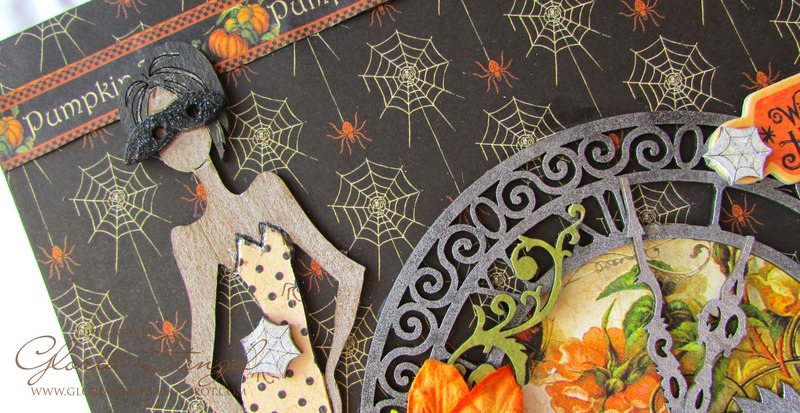 When I saw the Julie Nutting Designs Spooky doll in my chipboard pack, I knew what I wanted to do with her! I wanted to really deck her out! However, once I got going, I decided to keep her rather plain, and deck out the rest of the project! I started by cutting a piece of chipboard to 9 x 7 inches, and inking the edges with black ink. I added decorative paper (Graphic 45 An Eerie Tale) as the background. 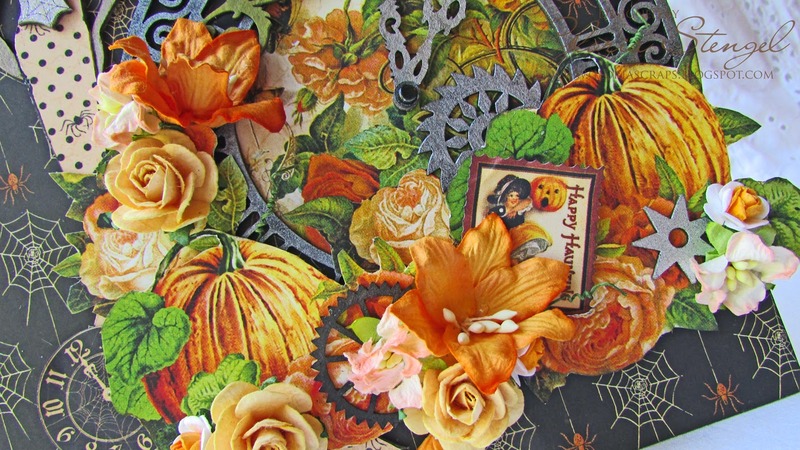 I trimmed out the pumpkin border (Graphic 45 A Place in Time October) to span the top of the project. I nestled the Clock #1 next to the doll. It fit perfectly into the curve next to her hip! 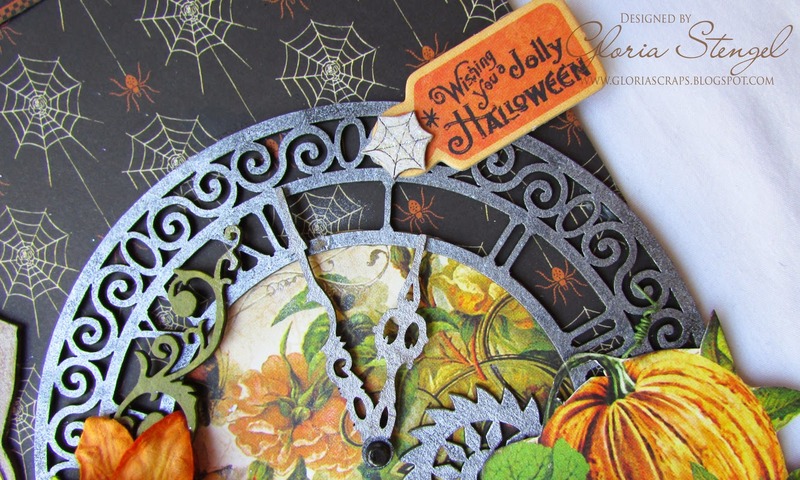 I inked the clock chipboard with black ink and then dabbed it with Delicata Silvery Shimmer pigment ink. This brand of ink dries very quickly and is a beautiful color. 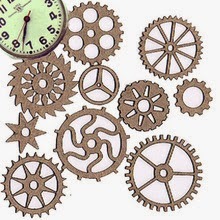 I used the same ink for the clock hands and the Watch Parts. 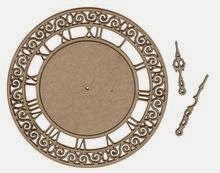 I backed the center of the clock with decorative paper (Graphic 45 An Eerie Tale). And then I added fussy cut images all around the bottom of the clock. Once I had all the images placed where I wanted, I decided to add dimensional pieces. I used olive pigment ink to ink up the Small Flower Corner, which I trimmed in half in order to use it in two locations. I added paper flowers and the Watch Parts chipboard, plus a few other fussy cut images to the display. I wanted this to look full and dimensional. I used some foam squares to pop some items. I also added some "vines" by curling the flower stems that I cut off the flowers. Nothing goes to waste in my studio! I finished off the piece with a polka dotted bow and a "button" that I cut from some of the paper. To give the "button" more dimension, I stacked it on top of 3 cardstock circles. Thanks for reading! I enjoyed my guest spot today! A very Jolly Halloween piece, indeed! Very fine, Gloria! 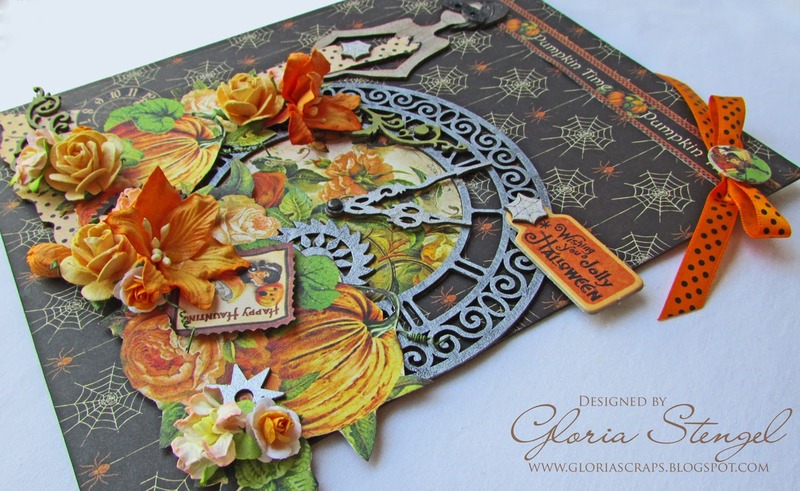 This is so lovely, Gloria! I'm a pumpkin lover, so this really makes me happy. Love the way you kept your Julie Nutting girl a little on the "ghosty" side. The clock bits are just fabby!